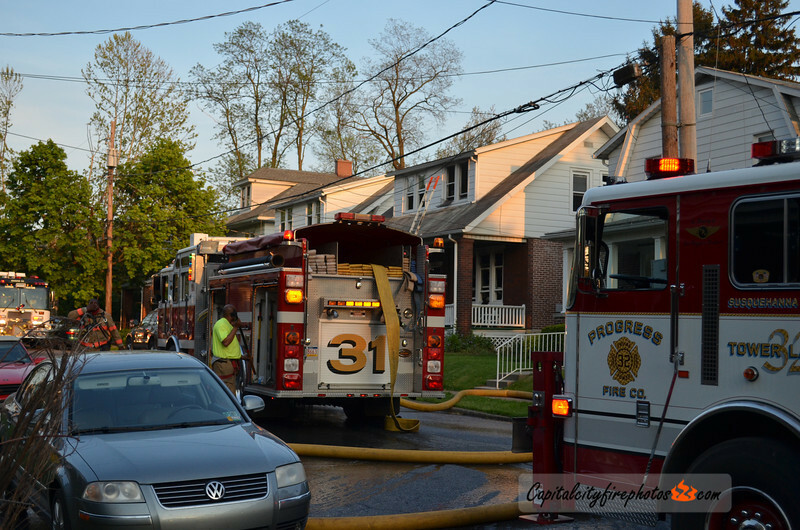 At 1840 hours, Box 31-3 sent companies to 2231 Boas Street, just outside Harrisburg City limits for a structure fire. Engine 31 (Edgemont) arrived on location with a working fire in a 2 story, occupied, brick, dwelling and went to work with an interior attack. Engine 32-1 (Progress) picked up Engine 31's supply line. Truck 32 assisted with ventilation and search. All searches proved to be negative. The kitchen fire was knocked down with minor extension. The fire was placed under control in about 15 minutes. One firefighter was transported to a local hospital by EMS with minor injuries.